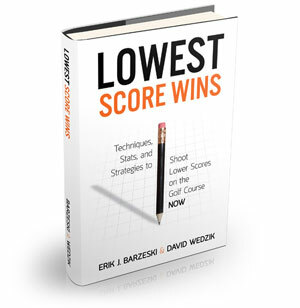 Lowest Score Wins is NOT your classic golf book. We show you the new way to shoot lower scores -- immediately. You'll learn to use something called Separation Value to guide your practice and how you can use Shot Zones to help you determine your GamePlan for every shot you play. You'll discover why typical course management strategy fails (hint: it only covers half of the equation). This book is the first of its kind. It is your own personal roadmap to shooting lower scores tomorrow. What are you waiting for? 224-pages of innovative golf techniques, stats, and strategies. Introduces the revolutionary new concept of Separation Value. Reprioritizes practice for instant improvement on course. Guaranteed 100% to lower your golf score in just minutes!